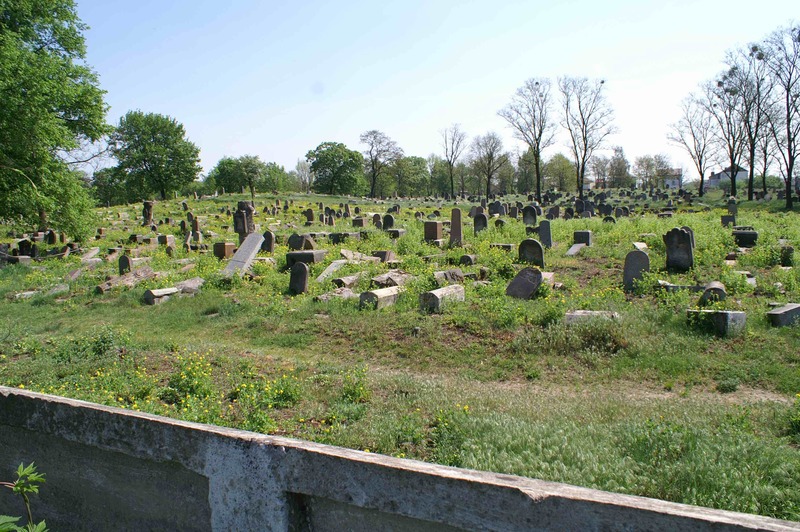 Dr. Heidi M. Szpek has been involved with the restoration of the Jewish cemetery at Bagnówka in Białystok, Poland for the past decade. Her new book Bagnówka: A Modern Jewish Cemetery on the Russian Pale was recently published by iUniverse. 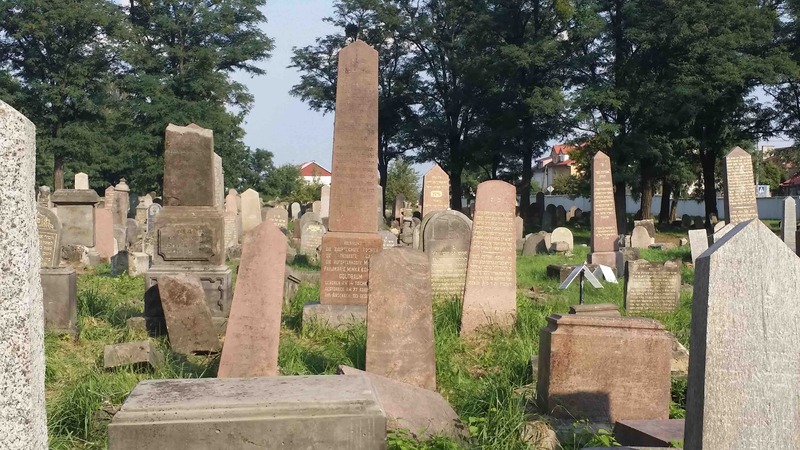 She describes in this essay how she was drawn to translate the epitaphs on the cemetery’s gravestones and thus reveal vivid portraits of Białystok’s Jews, their lives, and their community. 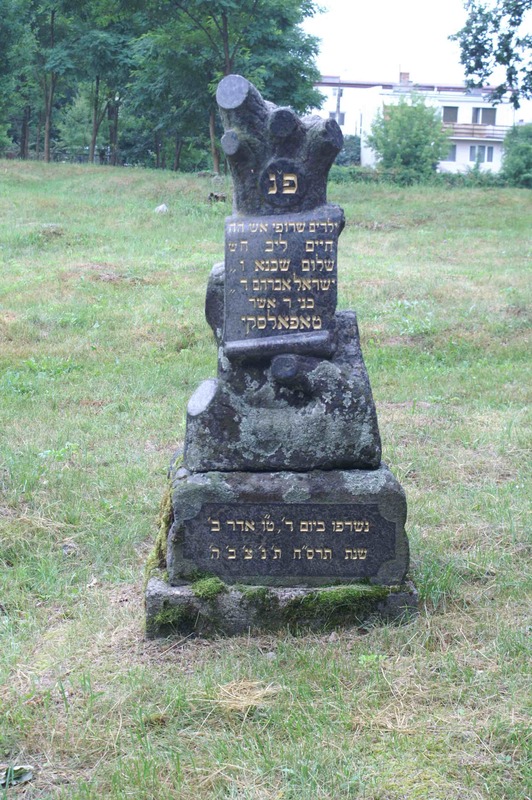 During World War I, a German field rabbi named Arthur Levy began gathering examples of Jewish folk art found on tombstones throughout northeastern Poland and the adjoining areas of Belarus and Lithuania. This unintentional traveler became enamored with tombstone art so extraordinary that he thought each tombstone was custom-made. Some ten years ago, I, too, was an unintentional traveler to northeastern Poland, to Białystok, in particular. Białystok was a last-minute side trip on a journey from Berlin to Warsaw to Prague in search of information on Jewish heritage sites for my university courses. For me, however, it was the Jewish epitaph, not the tombstone art, that struck me as extraordinary. Language as the purveyor of culture had decades earlier drawn me into the world within and behind ancient texts; the linguistic and orthographic beauty of Hebrew surpassed none for me. As a Ph.D. in Hebrew and Semitic Studies, I intellectually thrived on text-critical studies of the Hebrew Bible and its translations into Aramaic and Syriac. Ancient Canaanite or Egyptian inscriptions at times offered an intellectual “holiday” from these texts. These ancient texts offered literary portraits of past worlds, at least in theory. The Jewish epitaph in Eastern Europe, however, drew me to a world only slightly removed from my time. The words written upon these stones held the potential to offer both ideal and valid epigraphic portraits of Białystok’s Jews and their community. I still remember my first glimpse of Bagnówka Jewish Cemetery in Białystok and its fraction of the once 35,000 tombstones that marked the graves of its Jewish community from 1892-1969. Vast and unkempt, with gaping holes in its walls; littered with garbage from the adjoining Catholic cemetery; with pathways for dog-walking and hidden fire-pits within its forested acres: this religious institution had been devastated during and after the Holocaust. Yet amidst this disarray, sun and shadows highlighted the inscriptions that remained. Though overlaid with moss and lichen, they beckoned me to translate and discover life’s depiction as found in the language of these stones. 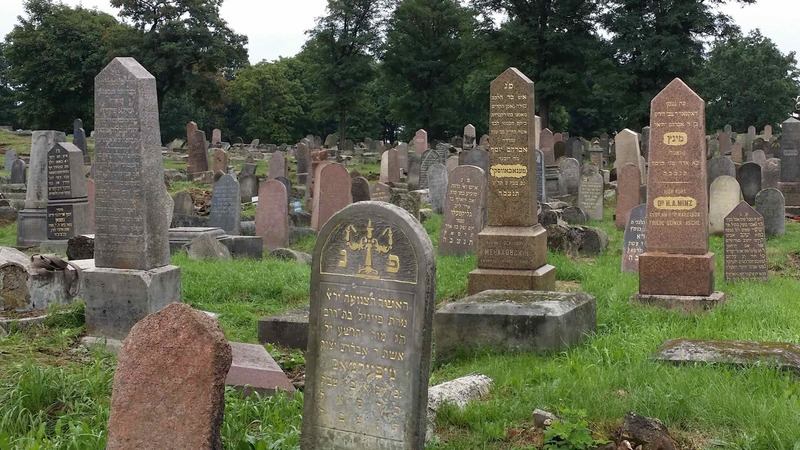 Language that reflects community ideals is not uncommon in Jewish epitaphs worldwide. For example, women are described as an Eshet Hayil (Woman of Valor) in keeping with the language of Proverbs 31:10-31. Men are praised as “perfect and upright” like the biblical Job. The formulaic structure, too, of the Bagnówka epitaphs is reminiscent of the epitaphic style in Europe and beyond, introduced with a perfunctory “Here lies” and, almost uniformly, concluded with an abbreviation that offers blessing: “May his/her soul be bound in the bond of everlasting life” (I Samuel 25:29). Between these markers, the deceased is aligned with one’s father (rarely mother) and cohanic or levitic ancestry, where relevant. Date of death follows; occasionally date of birth precedes. But it is the digressions from these standard details that offer the most poignant connection to a world now gone. At Bagnówka, the first inscription that caught my attention – the longest now extant — was that of the merchant Neymark (d. 1893). Injured by a trolley-car when on mercantile business in St. Petersburg in 1879, he required a wooden cane to walk, albeit in pain, for the remainder of his life. The compensation awarded him enabled the posthumous construction of the Neymark Beth Midrash (1901) in Białystok. Discovery of the Hebrew term for “confinement” on a woman’s tombstone, indicating that she had died “in confinement,” that is, in childbirth or in the traditional period after delivery, reminded me of how fragile life was to a potential mother. Eight nearly contiguous graves of women at the back of one section, recording this same term, more emphatically served as a telling reminder of the harshness of life for women. The triple-epitaph of three young brothers burnt in a house-fire sadly recalled the devastation to many homes, businesses, and cities that prevailed due to a culture of wooden construction in Eastern Europe. Epitaph after epitaph that remembered victims of the 1906 Pogrom and two preceding massacres in 1905, wrought remembrance of the ever-present and growing anti-Semitism in Eastern Europe decades before the Holocaust. In the decade since I first visited Bagnówka, much has transpired to return this cemetery to its once respectful existence due to restoration efforts that have involved the collaboration of local and international volunteers. The first stages in signage, too, were initiated in 2013 to direct visitors to key historic and epigraphic details of this cemetery. Each season’s restoration uncovers new tombstones and their epitaphs, returning the names and stories of Białystok’s Jewish community to the historic record. And, I confess, the intellectual in me is a bit eager to read these new inscriptions, learn what they might offer to the historic and literary record, and disseminate these discoveries to all interested. Dr. Heidi M. Szpek is Emerita Professor of Religious Studies at Central Washington University. 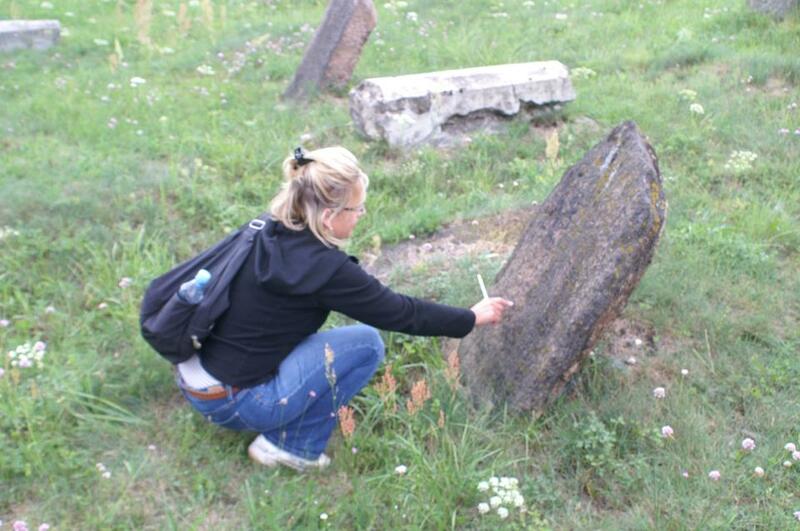 She currently serves as a translator, epigrapher and consultant for Centrum Edukacji Obywatelskiej Polska-Izrael (Poland), assisting with restoration of the Jewish cemetery of Bagnówka in Białystok. She has contributed articles on the Jewish epitaph, Jewish heritage and the Hebrew Bible to academic journals and to The Jewish Magazine online. Her new book Bagnówka: A Modern Jewish Cemetery on the Russian Pale tells the story of Białystok’s last Jewish cemetery and its epitaphs.